The Invesco Solar ETF (NYSEARCA: TAN), the largest ETF dedicated to solar equities, is up nearly 34% year-to-date, making it one of 2019’s best-performing non-leveraged ETFs and high oil prices are not the only reason solar stocks are hot. TAN, which is nearly 12 years old, follows the MAC Global Solar Energy Index. That index “is comprised of companies in the solar energy industry. The index is computed using the net return, which withholds applicable taxes for non-resident investors,” according to Invesco. Investors should note the average market value of TAN’s holdings is $1.41 billion, meaning this is essentially a small-cap fund. About two-thirds of TAN’s components are classified as small-cap stocks. Higher oil prices are also contributing to TAN’s rally. “Since 2010, the solar industry has grown rapidly — increasing some 150% to nearly 243,000 workers in 2018 from just under 100,000 eight years earlier, the Solar Energy Industries Association (SEIA) said,” according to ETF Daily News. TAN and its components can be volatile investments and the solar industry has had its bouts of volatility and struggles in the past. “Recently the industry has struggled with the uncertainty brought on by new tariffs imposed in January 2018 by the Trump administration of 30% on imported solar panels. (Those tariffs are set to decline by 5% each year,” reports ETF Daily News. The tariffs pinched the solar industry, creating job losses, but state initiatives, including California’s push to require all new homes built in 2020 and beyond to include solar panels, are bolstering the solar industry. “Now the industry is poised for a comeback of sorts, in part thanks to state initiatives such as California’s push to go solar. The outlook for job growth in 2019 sees an increase of 7%, to a total of 259,400 jobs, according to advocacy group The Solar Foundation’s National Solar Jobs Census for 2018,” notes ETF Daily News. Competitive pricing and the potential for Chinese subsidies are among the catalysts that could boost TAN further this year. 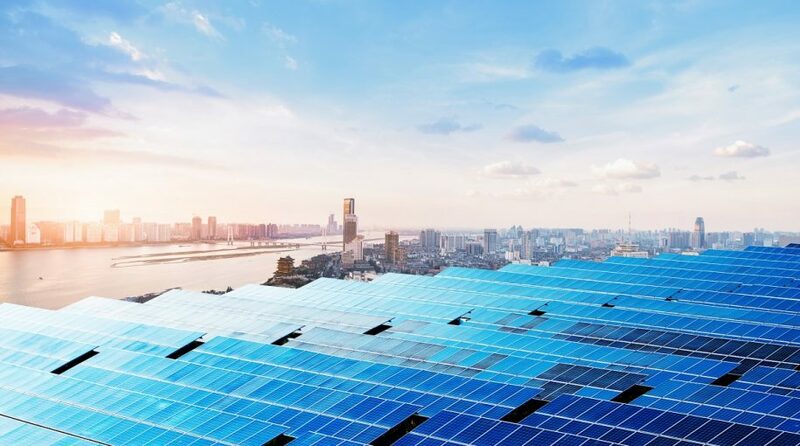 “ROTH Capital Partners has become increasingly bullish on a strong rebound in global solar demand in 2019, led by competitive pricing dynamics with other energy sources and increasing optimism that China will provide good subsidy support for solar in 2019 and onwards,” according to ROTH Capital. For more on thematic ETFs, please visit our Thematic Investing Channel.